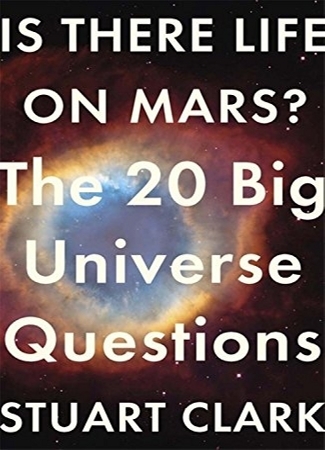 This is the paperback version of The Big Questions: The Universe. The Big Questions series enables renowned experts to tackle the 20 most fundamental and frequently asked questions of a major branch of science or philosophy. Each 3000-word essay simply and concisely examines a question that has eternally perplexed enquiring minds, providing answers from history's great thinkers. This ambitious project is a unique distillation of humanity's best ideas. In Is There Life on Mars?, Dr Stuart Clark tackles the 20 key questions of astronomy and cosmology: What is the universe? How big is the universe? How old is the universe? What are stars made from? How did the Universe form? Why do the planets stay in orbit? Was Einstein right? What are black holes? How did the Earth form? What were the first celestial objects? What is dark matter? What is dark energy? Are we really made from stardust? Is there life on Mars? Are there other intelligent beings? Can we travel through time and space? Can the laws of physics change? Are there alternative universes? What will be the fate of the universe? Is there cosmological evidence for God?